Bright sunshine and the fragrance of spring drew me out of bed at 7 am on holiday Monday. (We Canucks like to get the jump on ‘mericans by having some of our holidays early.) How could this not be a great day! I turned on the burner under the pressure cooker to high. 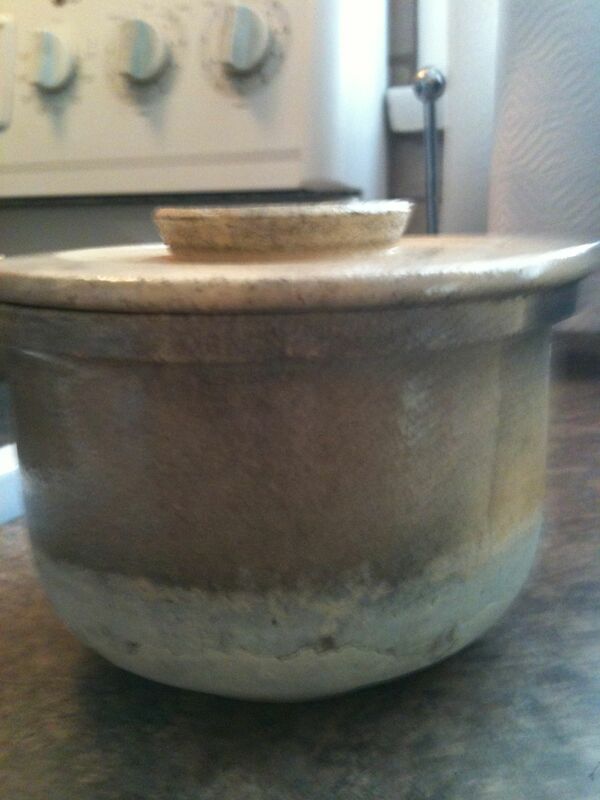 In it, inside an Ohsawa pot, brown rice had been soaking overnight. (another story – hingeing on weak digestion). I walked away. And thus the saga began. A violent hissing, like six angry adders drew me back to the kitchen. Six streams of steam were jetting out from under the front handle in every direction. Clearly pressure was not building. Fine! 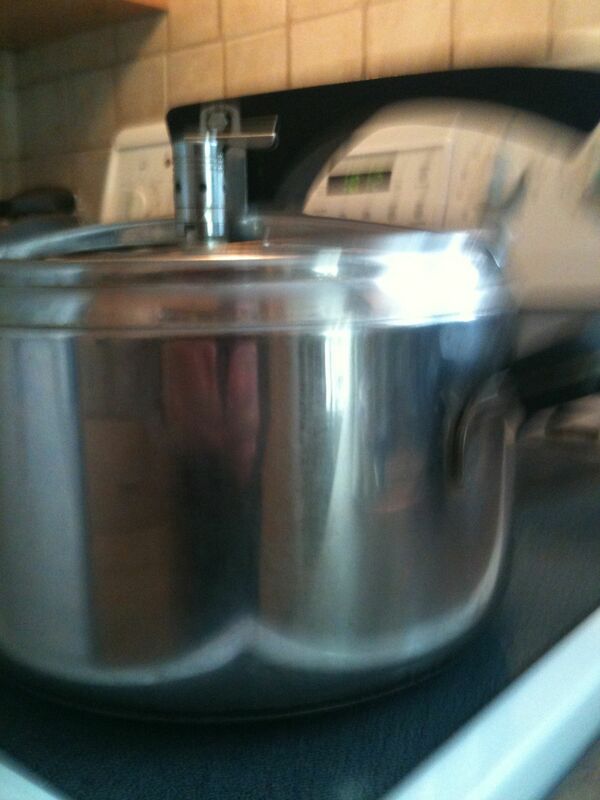 I’m not afraid of a pressure cooker. I have heard the story of a young woman who fled her exploding cooker across her loft, head down, in a brilliant display of broken field running. She escaped but the ceiling did not. Not me, boys! I’ve been handling one of these for 30 years. 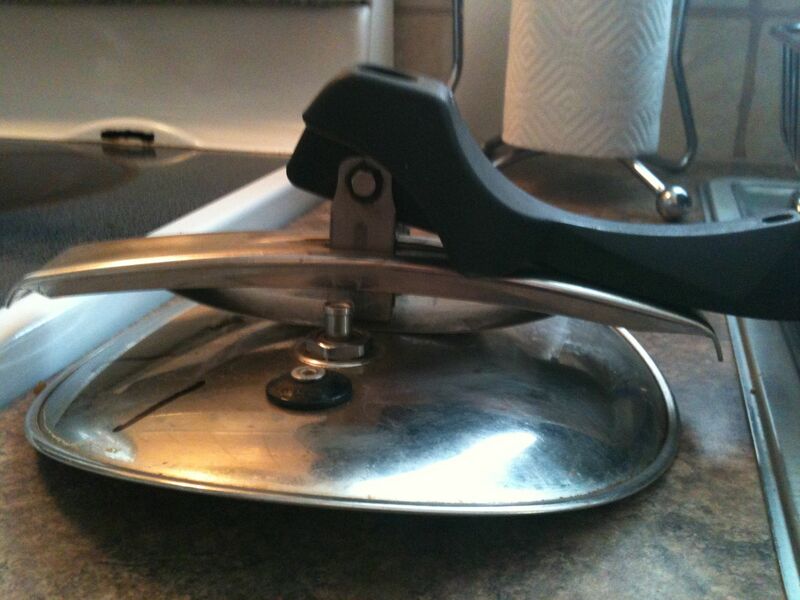 I grab the back handle, move it off the burner and turn off the heat. A little background: my old Lagostina pressure cooker, the one with the bendy lid that was such a pleasing puzzle to insert, served me uncomplaining and without maintenance for 30 years until last Feb 8th. I had a brief, unsatisfactory relationship with a model called Fresco. I say ‘brief’ but it felt interminable. Every morning was a new battle: the rice remained hard, the rice was swimming in water and half done, the lid wouldn’t go on, the lid wouldn’t come off. I grew crazed. I took it back for a full credit. Then I looked up where to buy another Lagostina, but of course, it was not at all like the good old reliable bendy lid one. It was a new, improved model. In fact, it looked like the Fresco, but I had faith because it was a Lagostina. Still I had a kind of residual post traumatic stress around the issue so I tackled the new problem warily but with confidence. 1. Removed lid, carefully aligned arrows, pressed down firmly with left hand, turned lid with right. Put pot on burner, turned heat on high, walked away. Result: jets of steam, no pressure built. 2. Examined lid carefully, studied flanges of metal that were supposed to interlock, pressed yet more firmly, shut lid, turned heat on, walked away. 3. Removed lid. Noted that the front handle seemed loose. Looked in vain for screws to tighten. Moved the Ohsawa pot more to the centre thinking it might be preventing a seal. Repeated #1. Vaguely remembered that human failing: if something doesn’t work, keep doing it, but try harder. 4. Maybe the inner pot was the problem. 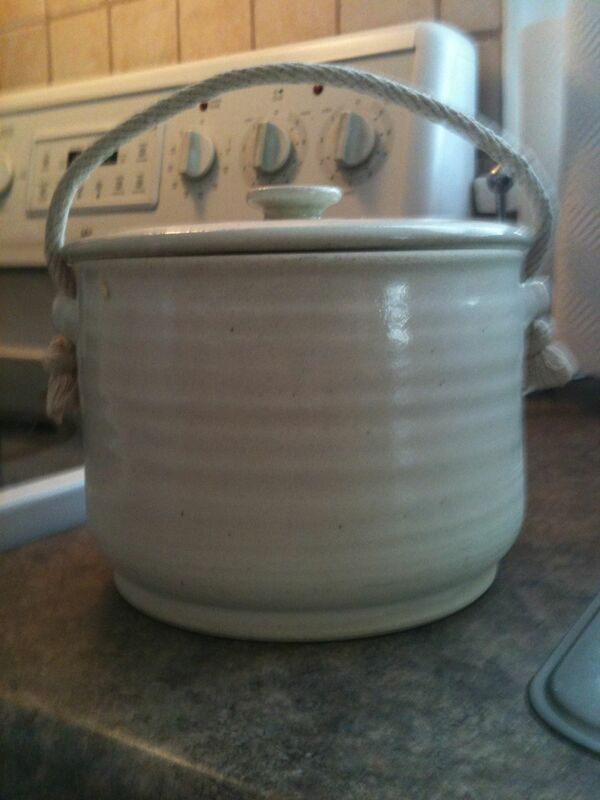 Removed Ohsawa pot, got out an old one, which isn’t as tall. Transferred rice, inserted in cooker and repeated #1. Well, at least, I had eliminated one hypothesis. 5. Removed lid, took out gasket, studied situation, pressed it carefully back, repeated #1. 6. Pulled out old bendy lid Lagostina, transferred rice pot. Glanced heavenward. Turned heat on. Different result. This time water bubbled out instead of steam. Well, what did I expect? The old thing was fatigued and told me so last Feb 8th. 7. Picked up the lid of the new cooker, shook it in admonition. It rattled. Took out the gasket. Ah, there they were -2 screws about half way out. Pulled out the heavy red tool box from under the sink, found the screwdriver with the star-shaped head, tightened those darned screws within a millimetre of stripping them. Repeated #1. Leaned over the stove. 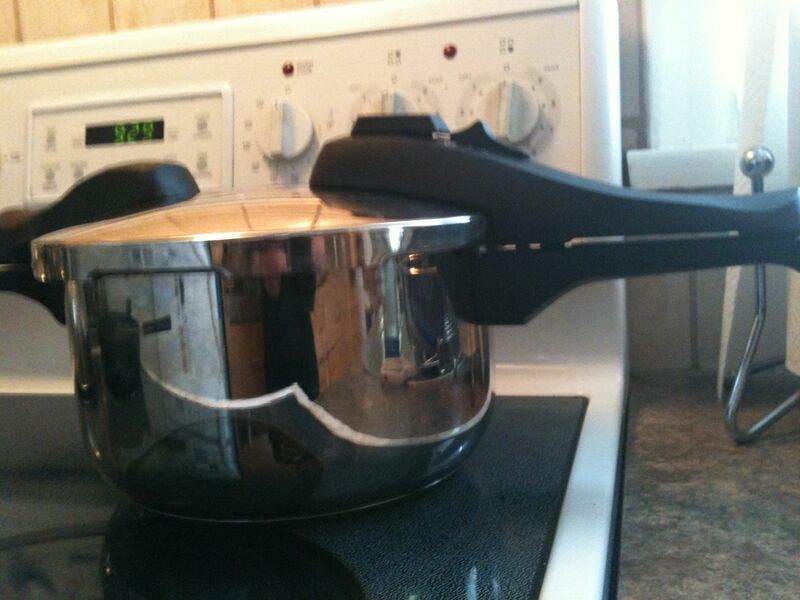 Never mind the “watched pot” rule. Result: a few seconds later, a soft sigh, the red-knobbed pressure indicator floated upward, I had 13 psi and in 50 minutes, I would have edible rice. I also seemed to have fairly high blood pressure, but there was relief for that. I fired off an email missile-I mean missive- to Lagostina advising them to include a small screwdriver with their pressure cookers and clear instructions regarding loose screws. Then, wouldn’t you know, turns out that other pressure cooker adherents of my acquaintance already knew that. This entry was posted in cooking, humor and tagged brown rice, Lagostina, pressure cooker, problem solving by joyceahowe/hood. Bookmark the permalink. Photos of monolithic menacing rice pots: enough to make anyone want to fire off missiles.